Good as gold! A 1950's auto repair building finds a new, lavish life in Au79 - cafe, roastery, bakery and patisserie. They're keeping it all in house - from bread and butter, to preserves and yoghurt. Melbourne style cafe cuisine meets a east Asian edge. 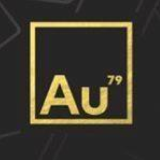 Au79 creates fresh, flavour-filled fusion food with a talking point. Plated to perfection and made to be remembered.